In 1990, the Americans with Disabilities Act (ADA) was passed into law. Its purpose was to protect people with disabilities from discrimination and ensure they are afforded the same opportunities as everyone else. However, despite the ADA’s passage, many disabled Americans in major cities like Los Angeles, New York, and Washington D.C. still face mobility challenges. They are limited in where they can live or go because handicap-friendly accommodations are lacking. 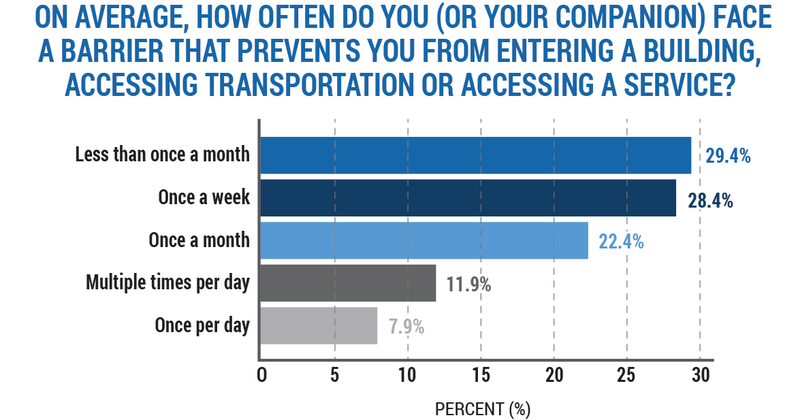 In fact, as the image below shows, approximately 12% of Americans with disabilities face building, transportation, or service barriers multiple times a day. Paratransit is a demand-responsive mode of transportation for disabled and aging people who, because of their disabilities and advanced age, cannot use fixed route public transit services to get from point A to point B. The service is usually provided by public transportation companies to complement their fixed-route bus and rail services, but other paratransit operators include nonprofit organizations, community groups, and for-profit private agencies. 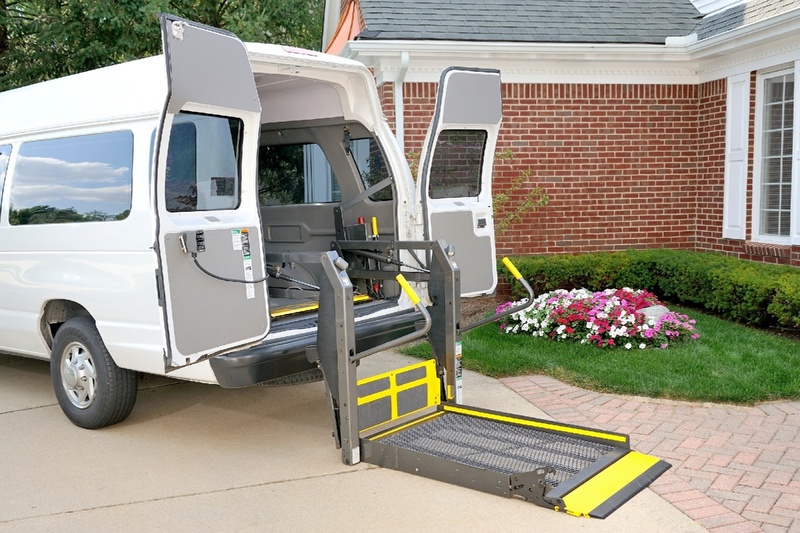 Most paratransit vehicles are wheelchair-accessible or come with ramps or lifts to enable access. 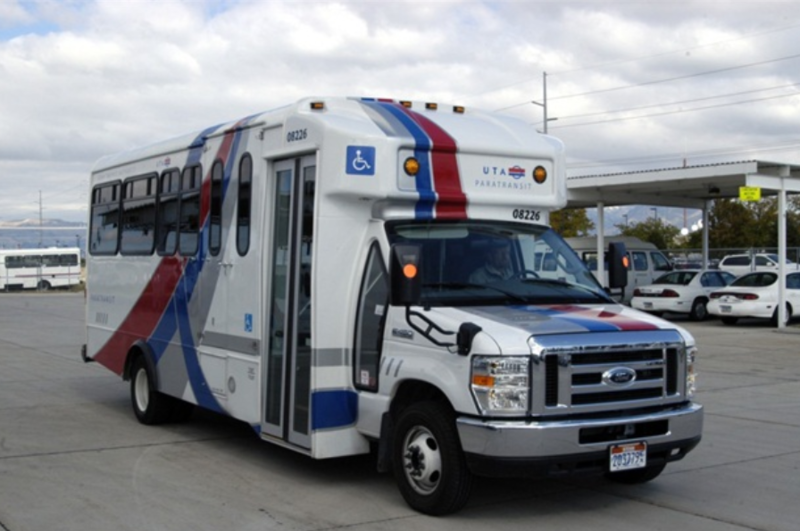 There are different types of paratransit services. The simplest are small buses, vans, or taxis with a roughly defined route that pick up and drop off passengers upon request. On the other end of the spectrum are fully responsive paratransit providers that transport riders from any specific location to another at any given time. According to recent CDC data, about 10.4% (25.5 million) of noninstitutionalized U.S. adults have vision trouble, while 16.1% (39.5 million) have physical functioning disabilities. Among aging adults aged 65 to 74, 3.4% need help with personal care, a number that goes up to 10.8% for seniors 75 years and older. In addition, according to data compiled by the Bureau of Transportation Statistics, 24.6 million Americans 18 years and older have travel-limiting disabilities, 3.6 million of whom do not leave their homes because they are either housebound or disabled. What these numbers represent is loud and clear: Millions of Americans are incapable of using conventional transport systems and need alternate services that take their limited capabilities into consideration to help them get to their destinations, which include doctors’ appointments, workplace, school, social and religious gatherings, places to shop or eat out, and so on. Without available transport systems for follow-up care, patient outcomes are negatively impacted, while seniors with no means of transportation take lesser trips and risk social isolation, which can result in extreme loneliness, depression, cognitive decline, dementia, and even premature death. An application is usually necessary to determine eligibility and may also require supporting papers, as well as an in-person interview or assessment to evaluate the applicant’s ability to use fixed-route services. Unlike fixed-route transportation systems, paratransit services are demand-responsive services. This means, a request has to be made for the service to be provided. There are two types of paratransit trips: random (one-time) and subscription (repetitive trips). Subscription trips are often requested for work, school, church, or special/routine medical appointments. Trips may also be one-way, round trip, once a week, or several days in a week. It all depends on each individual rider’s needs. Trips may be requested by the rider directly or through a friend, family member, caregiver, or government/social service agency acting on the rider’s behalf. The call taker should know if the rider can be flexible regarding trip times and dates, especially during peak periods. Schedule negotiations are perfectly acceptable, as these will give the dispatcher more elbow room to find a suitable slot in their calendar for the requested trip. Riders must also be informed if the trip will be shared with other riders. As you can see, if all this is done manually, the dispatcher will have to deal with a lot of major and minor details to efficiently create a schedule that works for everyone: customers, vehicles, and drivers. The system creates a schedule that takes into account all trip requests made for the same day, vehicle availability, customer origin and destination, and other relevant factors. Once the trip is dispatched to the appropriate vehicle type on the day of the trip, the rider gets a notification, an ETA to their destination, and a map that shows in real time where their vehicle is. The vehicle then picks them up within the pick-up window and then drops them off to their destination. Providers don't all collect fares the same way. Some collect electronic payments at the time of scheduling, which means riders must have enough funds on their rider accounts prior to requesting a trip. Accounts can be funded through cash, check, debit/credit card, or money order. Other paratransit operators allow their drivers to accept cash, coupons, or prepaid card payments. With fixed route transport systems, major schedule changes may happen once every quarter or twice a year to meet demand changes. But with paratransit, scheduling it is a lot more complicated. Even with a prior schedule, routing and dispatching plans change and will have to be adjusted on the fly to accommodate customer demands. Solutions to scheduling problems will have to be figured out on a case-by-case basis. In other words, what works today may not work tomorrow. Certain individuals need specific types of vehicles to keep them safe and comfortable while in transit. Should a minivan be dispatched that can only carry ambulatory passengers? Or, is it better to dispatch a ramp-equipped minivan that can transport several ambulatory occupants and up to two riders on wheelchairs? With scheduling volatility, dispatchers may find it difficult to group nearby riders with similar vehicle needs. Paratransit riders usually come from different locations and are headed to different destinations. Despite this, dispatchers must be able to provide their riders with the right types of vehicles. For most paratransit operators, vehicle utilization efficiency comes in the form of delivering at least two riders per hour per vehicle. Transporting riders to and from distant suburbs can make this objective difficult to achieve. 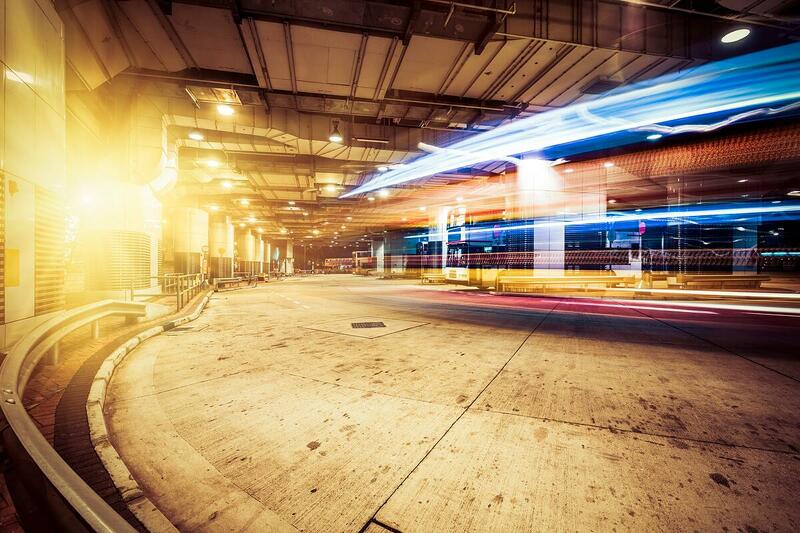 With demand-response services, achieving efficiency (and ultimately, profitability) is a never-ending balancing act between providing the best possible experience for riders and maximizing vehicle usage, driver availability, and fuel consumption. Since this is the case, the need for continuous real-time scheduling with the help of paratransit software cannot be stressed enough. Paratransit software is demand-response management software that takes the headache out of scheduling and dispatching. It comes with a resource scheduling functionality that automatically identifies the most favorable schedules for an agency’s vehicles and drivers, allowing dispatchers to make real-time planning changes while providing predictable services, even on-time performance guarantees, to their customers. It all starts with the customer booking a trip with a paratransit provider. Ecolane’s DRT software allows mobile booking via the Ecolane mobile app, eliminating the need for callers to dial a number or fill out paper forms to make a reservation. Once the reservation is made, Ecolane considers other reservations for the same day and performs algorithmic calculations to come up with a transportation solution that’s favorable for all parties involved. On the day of the trip, the trip’s status changes from “open” to “allocated” once dispatched to an available vehicle. The customer then automatically gets a notification with an estimated arrival time to their destination, plus a visual map they can use to track their vehicle’s real-time location. As soon as the customer is picked up, the trip’s status then becomes “active” right until the customer is dropped off. Ecolane’s paratransit scheduling and dispatching software addresses several key challenges for both riders and providers. They can book trips with just a few phone taps. They get timely reminders and notifications, eliminating the chances of them not showing up on time at pick-up points and being penalized as a result. They can track where their rides are in real time, so there’s no need to repeatedly call the provider’s service hotline for updates. Information provided in push notifications can be forwarded to anyone meeting them at their destination. Schedules are automatically generated based on customer bookings and vehicle/driver availability. This means there is minimal, if any, intervention from the paratransit agency to get a trip scheduled. Because of Ecolane’s algorithm tirelessly working in the background to account for any scheduling changes as a result of trip cancellations, vehicle breakdowns, driver unavailability, or even inclement weather conditions, batch scheduling is a lot easier to accomplish. No more manually making sudden schedule changes to address customer demand, which means fewer human errors and greater efficiency. Because customers can simply look at the map to track their vehicles, no wasted time fielding calls from riders waiting in frustration for their rides. With fast and efficient service made possible by accurate scheduling and dispatching, you keep your customers happy. Happy customers easily turn into loyal customers - and even your agency’s brand ambassadors. Not every DRT software is created equal. Therefore, utmost care and attention are required to find the software that fits your paratransit firm’s specific needs. Flexibility: Your DRT software must adapt to your unique agency needs and requirements, not your company reconfiguring the way you do things just so you can use the software. Stay away from off-the-shelf solutions that are hard to configure. Platform Requirements: Your transit software must be conveniently accessible anywhere (e.g., on-site, while inside the vehicle, etc.) using different devices (e.g., laptops, desktops, and mobile devices). More importantly, it should help you address key business objectives, such as increased productivity and on-time performance. Customer Service: You want the system to work right at the get-go. Any hiccup, especially during the initial implementation phase, could impact service levels. Make sure to look for a DRT software vendor with a proven track record of providing superior after-sales support. Reporting: DRT software, or any software, for that matter, collects a massive amount of data, that when analyzed for feedback and insight, will help you significantly improve operational efficiency. However, not all transit software that collects data provides easy access to it. As such, it’s important to find one with comprehensive reporting features and allows on-demand access to your raw data. Budget: When it comes to software, the cheapest doesn’t always mean the most affordable. Are there hidden costs to worry about? How much will you be saving over the life of the contract? Pricing: Certain providers offer all-inclusive pricing. Others provide options for support and maintenance. There is no right or wrong option here. Just remember that the best pricing is transparent. Additional Investment: Thoroughly check what you’re buying, and make sure you know if additional investments are required to use the software, such as hardware and server hosting. Cost Increases: Once your contract expires, will the vendor increase the price? Find out what the vendor’s other customers are saying about pricing increases, if any. ROI: When determining what a provider can offer in terms of ROI, it’s imperative that you know exactly what you’re looking for in a solution and what metrics to use to measure success. Ultimately, what you need is a provider that can clearly demonstrate value, plus the willingness to work with you to achieve your goals. For a checklist of the questions to ask a potential provider, download Ecolane’s “Guide to Choosing Your Transit Software Provider” eBook. The role of paratransit in helping disabled and aging Americans stay mobile cannot be overstated. Without modes of transportation that cater to their specific needs, their ability to keep medical appointments and pretty much live normal lives is significantly affected. With paratransit software to take care of the complexities of scheduling and dispatching, you can focus on keeping your customers safe and happy.